At Satalyst, we are committed to reducing our environmental impact and continually improving our environmental performance as an integral part of our business strategy and operating methods. Satalyst recognises its responsibility to the environment beyond the legal and regulatory requirements. We operate fully in the cloud, maintain very minimal on premise infrastructure and aim to as “paper-free” as possible. At Satalyst, we are mindful of the fragility of the environment and the impact of human actions. We actively work towards setting a leading example in our industry in reducing the impact of our activities and encouraging others to do the same. Our policy guides our selection criteria of products, services and activities within Satalyst and is a key mechanism to assist us in reducing our Greenhouse Gas emissions. Our policy underpins our objectives of being an environmentally responsible business and we work consistently with our stakeholders to continually and collectively reduce our environmental footprint. 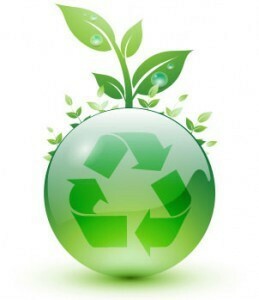 Satalyst is responsible for ensuring that the environmental policy is implemented. However, all Satalyst employees have a responsibility in their area to ensure that the aims and objectives of the policy are met. Increase employee awareness and involvement. Seek to buy recycled and recyclable paper products. Switch lights and electrical equipment off when not in use. Adjust heating and cooling with energy consumption in mind. Use materials in office refurbishment that are environmentally friendly as possible. Use licensed and appropriate organisations to dispose of waste.